Craig Scott was a former Dunedin bank clerk, who also had a strong interest in rock and roll. He started singing and playing bass guitar for Dunedin band, the Klap, and then joined Dunedin's top band, Fantasy in 1968. This group had relocated to Christchurch by the end of 1968. Shortly after arriving in Christchurch, Craig met up with four guys who had a band called Blues Revival. Craig joined them as vocalist and in February 1969, at the suggestion of Ray Columbus, they shortened their name to Revival and changed their image and repertoire. This had an immediate success for the group and in May 1969 they won the Christchurch section of the National Battle Of The Bands competition. This caught the attention of HMV's Peter Dawkins and he brought them to Wellington to record a single. The result was a cover of a current song by the Equals, and it outsold the original very well. The single was "Viva Bobby Joe"/"Rudi's In Love". The flipside was also a cover of a song by the Locomotive. The single made it to number 14 on the National charts in 1969. 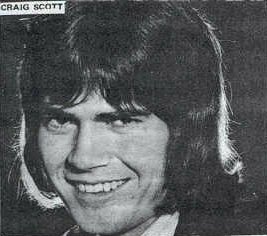 Although it was a success the band enjoyed, this pop style wasn't really what most of the members felt comfortable with, so when Craig was offered a solo career in April 1970, nobody else in the group minded and so Revival broke up. Craig was groomed for television and with a star spot on television's "Happen Inn" he was destined to take over the male pop idol role left vacant after Mr Lee Grant left for England. No time was wasted in getting out the first release, but it was a curious choice of song that was picked for him. Released on the 29th April 1970 came "Star Crossed Lovers"/"So Many People". "Star Crossed Lovers" was a cover of Neil Sedaka's original. The song was extremely controversial due to its lyrical content, but amidst a wave of publicity, it was soon at the number 1 position on the New Zealand National charts, a spot it held for four weeks. Craig's follow-up, on 26th June 1970, was a bit of a contrast to the haunting ballad that established him in the first place. It wasn't long before "Let's Get A Little Sentimental"/"They Call the Wind Maria" shot up the charts to become his second hit single, reaching number four on the charts. 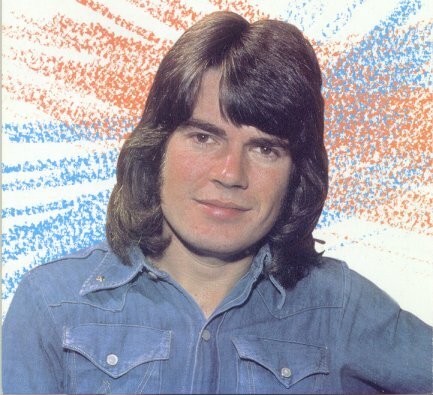 "Let's Get A Little Sentimental" was nominated for the 1970 Loxene Gold Disc Awards and was good enough to make it to the finals, where Craig received the Soloist Award. 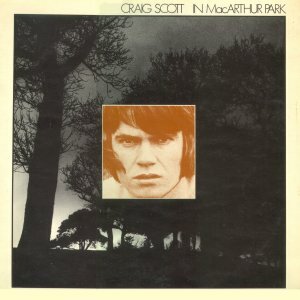 Craig's first album "MacArthur Park" was released in 1970 also. The title track was an excellent rendition of the Jim Webb classic made famous by Richard Harris. The NZBC even did a video of Craig singing this song, standing on a bridge over a river, and used it often as an interlude, back in the days when television stations sometimes ran ahead of time. His third single, released on the 19th October, was "Peaceful Mountain"/"If You Go Away". "Peaceful Mountain" was written by Dennis Lambert and Brian Potter and this combination were to provide Craig with three of his hit songs. With a return to the slow ballad, Craig proved he could handle the more soulful type of song. This particular one made it to number 16 on the charts. 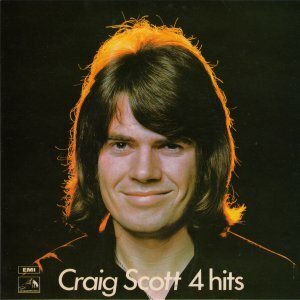 Now entering his second year, 1971 proved to be very successful and Craig's popularity soared with numerous television and personal appearances. Once again Craig followed up his previous ballad hit with an up tempo number. "Can I Believe In You"/"Marie" was released on the 22nd March and was the first song to come from his second album, "Smiley". With four hits to his name, HMV released an EP called "Four Hits" in 1971. The songs on it were "Star Crossed Lovers", "Let's Get A Little Sentimental", "Peaceful Mountain" and "Can I Believe In You". The second single from the album was the title track, "Smiley"/"Where Are You" and was released on 14th June. 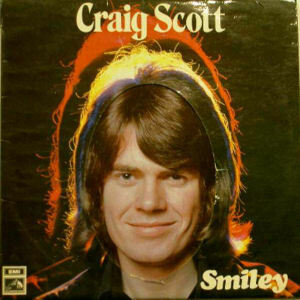 "Smiley" became Craig's most popular song and making it to the finals of the 1971 Loxene Gold Disc Awards, it took out first prize. Even though the song is his most known, it didn't actually hit the top spot on the charts, stopping short at number 3. The song had been a hit in Australia for Ronnie Burns and told of a young boy who had been conscripted and sent to the unpopular Vietnam War. The words to the song echoed the feelings of the youth of the day. A third song from the album became his next single. Released on 18th October, "Ciao Baby"/"Seasons In The Sun" also featured well in the charts, making it to number 4. "Ciao Baby" was also a favourite with audiences at his live performances. It hinted at a slightly more mature approach to Craig's style and it was about this time that he became very aware that he wanted to entertain people of all ages. Another Neil Sedaka song was chosen as the next single. "One More Mountain To Climb"/"This Love Of Mine" was released on 6th December and climbed easily up the charts during the Christmas of 1971 reaching number 14. By now Craig had well and truly established himself as New Zealand's number one pop singer. 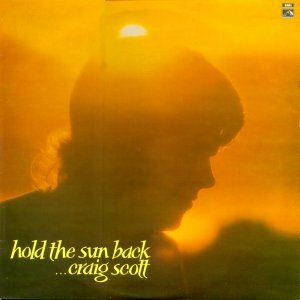 This song was included on Craig's third album released early in 1972 called "Hold The Sun Back". Also lifted from this album and released on 20th March was "(Love You and Me) We Could Never Be Friends"/"Sandy". It was released mainly due to public demand on request sessions and during live performances. 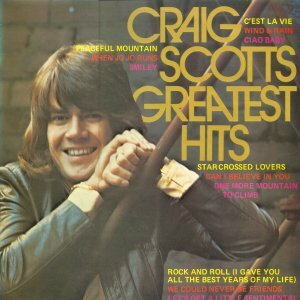 It is quite different from most of Craig's previous singles but is still a very popular song in his repertoire. A third song from the album came out on the 29th May. "C'est La Vie"/"Never An Everyday Thing" was the third song from the Lambert and Potter team. Another non-album song was also released in 1972. "Can't Get You Out Of My Mind"/"An Old Fashioned Love Song" didn't fare too well, but Craig's popularity was unaffected and he received the 1972 NEBOA Entertainer Of The Year award. 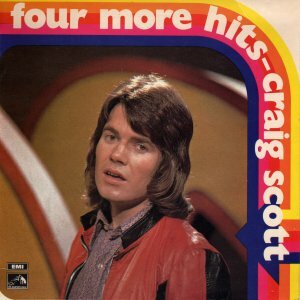 A second EP called "Four More Hits" containing "Smiley", "Ciao Baby", "One More Mountain To Climb" and "C'est La Vie" was released on the strength of his popularity. Craig returned to the charts in 1973 with the release of "When Jojo Runs"/"In And Out Of Love" on 5th March. The song immediately caught on, especially with the younger generation, and peaked at number 5 on the charts. It was also one of his best selling singles. With "Wind and Rain"/"Put A Little Love Away", released on 16th July, it became obvious that Craig was searching for a new direction and it took quite some time for "Wind and Rain" to take off, but when it did, it sold well and ended up at number 11 on the charts. It also made it into the 1973 finals of the RATA Awards, the competition that had replaced the previous Loxene Awards. Craig was still trying to get into something more musically demanding and as a result a song that had done well for its author Kevin Johnson in Australia, was selected as his next release. "Rock 'n Roll (I Gave You All The Best Years Of My Life"/"Hold On Marianne" was released on 23rd October and climbed to number 13 on the charts. At the end of 1973 came the very popular "Greatest Hits" album which contained all of his chart hits. By 1974 Craig's popularity was on the decline. "Happen Inn" had finished and fresh faces now graced television screens. Craig Scott's time had passed. He only released one single in 1974 and that was "Durango"/"Mr Magic Man". His last release was in 1975 with "Fingers and Thumbs"/"Ben" and this song was a minor hit, placing at number 25 on the charts. After that there has been no fresh material from him. 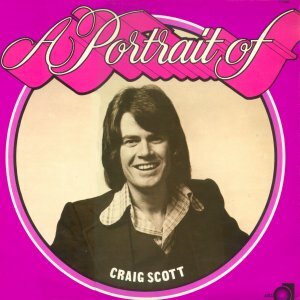 In 1975 Axis released an album in their Portrait Series called "A Portrait Of Craig Scott". and it contained mainly album tracks and included the B-side of the single he did with Revival, "Rudi's In Love". 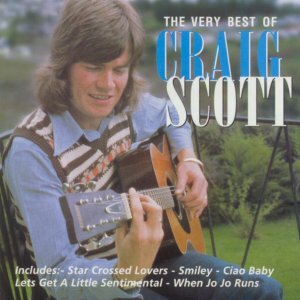 In 1999 EMI produced a CD called "The Very Best Of Craig Scott" and this contained all of his singles along with a few B-sides. It is a pity they couldn't have done a bit of quality checking and put the picture on the cover around the right way. Craig wasn't left-handed and didn't play an "AHAMAY" guitar.